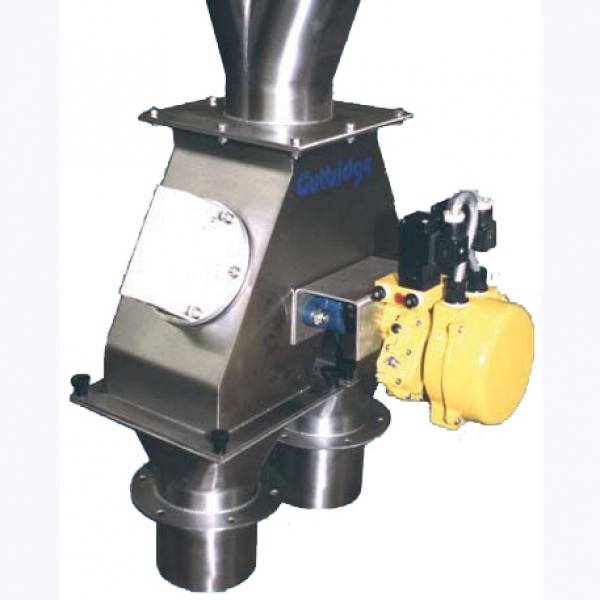 A diverter valve is used in a pneumatic conveying system to “divert” material being conveyed to two or more different destination locations. Because diverter valves are directly in the flow of bulk material on a pneumatic conveying system, operating conditions for the valve and actuator can be severe. Requirements vary from application to application, but in general diverter valves must be constructed from very durable materials and with few moving parts. Same goes for the pneumatic actuator driving the valve. Because of the materials and conditions, the actuator must be able to endure high cycle rates, dusty atmospheres, and high vibration over long periods of time. 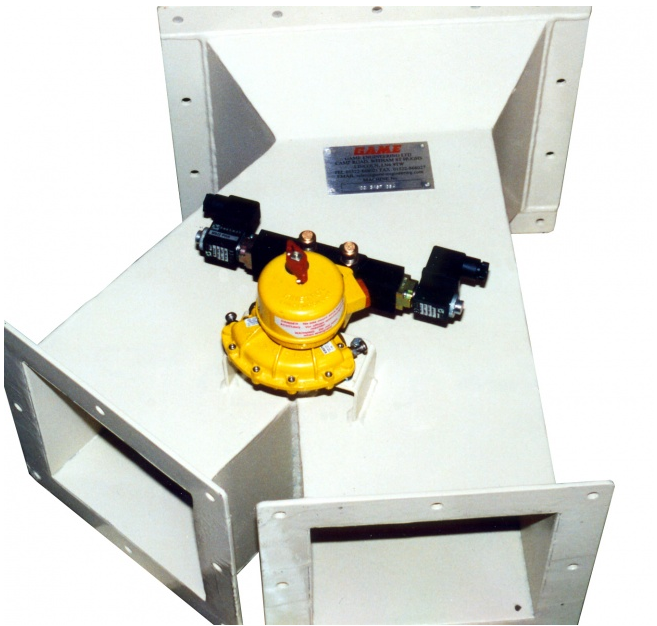 Pneumatic actuators are frequently used on conveying systems because they are operated pneumatically and eliminate additional installation and safety concerns required by electric operators. The actuator is used to rotate a stainless steel shaft and arm to either the bypass (straight through), or divert (90 Deg.) position. 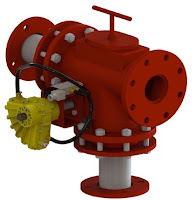 The durability of the vane type pneumatic actuator, along with its compact design and simplicity, continues to win over the hearts and minds of diverter valve manufacturers. The vane actuator's reliability is attributed to one significant advantage over rack & pinion, piston, and scotch yoke actuators - the vane actuator has only one moving part. Not all vane actuators are created equal however. Some manufactures have compromised their performance and reliability by taking design short-cuts, such as eliminating high quality coatings, and eliminating important features, such as high tolerance machining and stainless steel internals. This isn't the case with the manufacturer Kinetrol however. Kinetrol invented the original pneumatic vane actuator back in the 1950's and has since continually improved its design. Understanding the value of the single moving part concept, Kinetrol has engineered quality into each component of the actuator. This attention to engineering detail has established Kinetrol vane actuators as the pneumatic actuator of choice for bulk material systems and diverter valve manufacturers.